iPhone X Support. Improvements under the hood. FEATURED BY ENGADGET, LA TIMES, and TECH CRUNCH. PLAY THE GAME THAT CASINOS DON'T WANT YOU TO KNOW ABOUT! 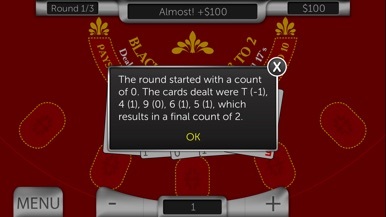 Card Counter is an exciting game based on real Blackjack card counting techniques. 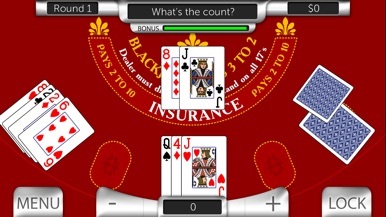 You love Blackjack and know what to do in every hand, but now you want more! Maybe you saw the movie "21", read the book "Bringing Down the House", or just heard about card counting. 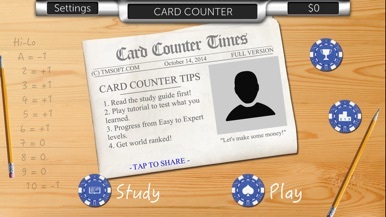 Card Counter will teach you everything you need to know without having to enroll at MIT. "Made me 50k in vegas. Not kidding"
"I have been learning the basics of card counting and after tying this I learned faster in ten minutes than I did in a week"
"Just got back from Vegas and won 8G's and took my family on a great vacation. 3 bucks is worth a thousand"
LA Times: "Looking for a quick way recoup some of your economic losses?" 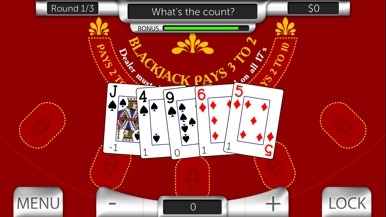 Tech Crunch: "Las Vegas casino owners, and their well wishers, have been tipped off to the app’s existence, which, theoretically, makes winning blackjack easier." * Universal iPhone and iPad app game with beautiful Retina HD graphics. You want to play with your preferred lottery but you have problems to choose numbers? Leave your iPhone/iPod Touch to suggest them to you. 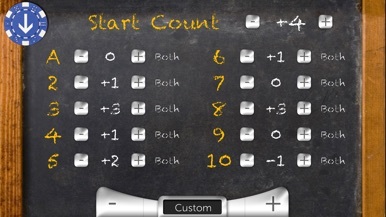 Start Lucky 6, choose your lottery (Mega Millions, PowerBall and SuperEnalotto are available) tap on Go! button and then write down on your card the suggested numbers and have good luck! Play Responsibly!